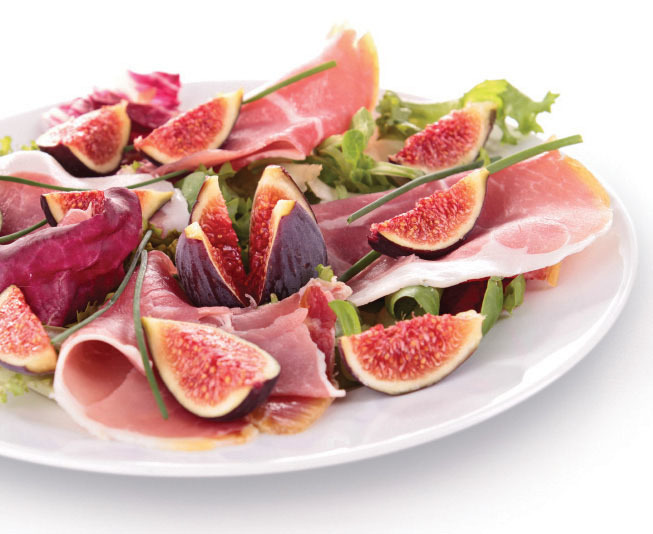 With stunning design, the Heritage Flywheel Slicer is a premium quality fully manual slicer producing artisan results. 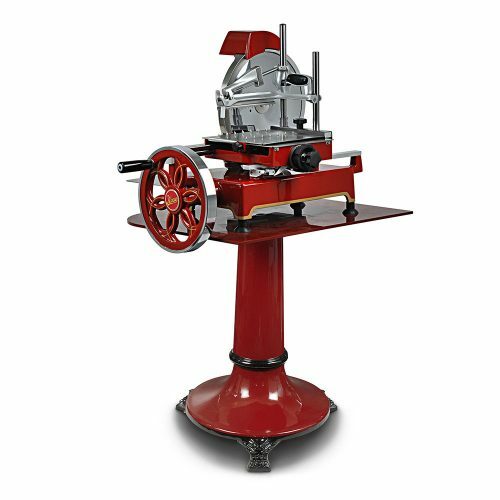 Constructed from stainless steel and aluminium, featuring an alloy steel blade (100Cr6) perfectly balanced and chrome plated, the machines robust construction complements the striking red enamel finish. 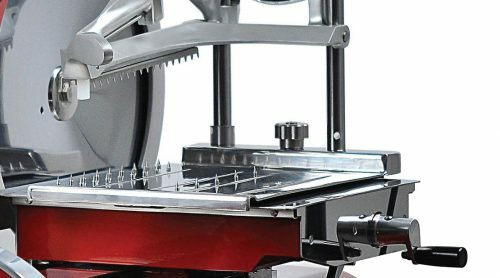 The meat table and blade movements are fully co-ordinated and geared to the hand rotation of the flywheel such that one rotation of the flywheel produces multiple turns of the blade. Additionally, as the flywheel turns, the carriage proportionately moves the food being sliced towards the blade. 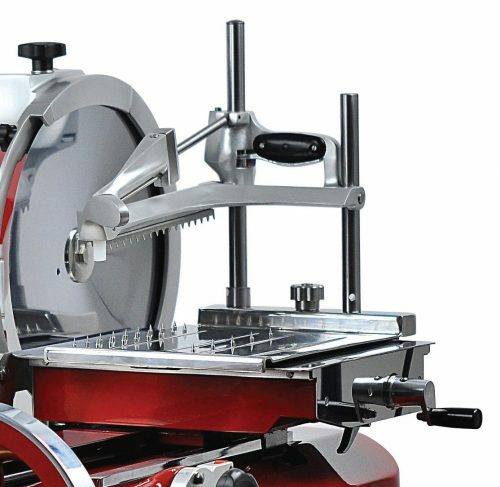 A double sliding plate with a lockable hand grip securely holds the meat in place to ensure consistent shaving. 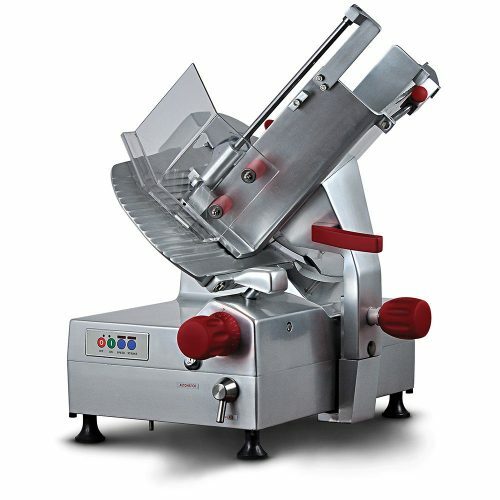 The machine has been designed with ease of cleaning in mind. 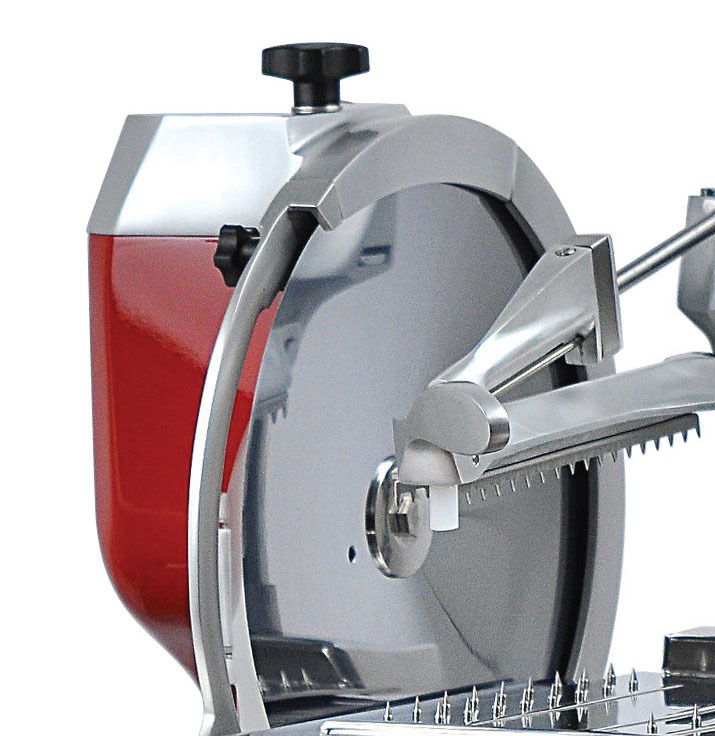 The space between the blade and the head is easily accessible to enable regular cleaning. 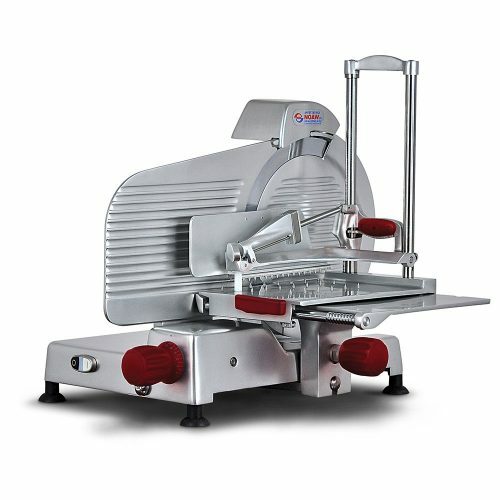 A quick release meat table makes removal easy. 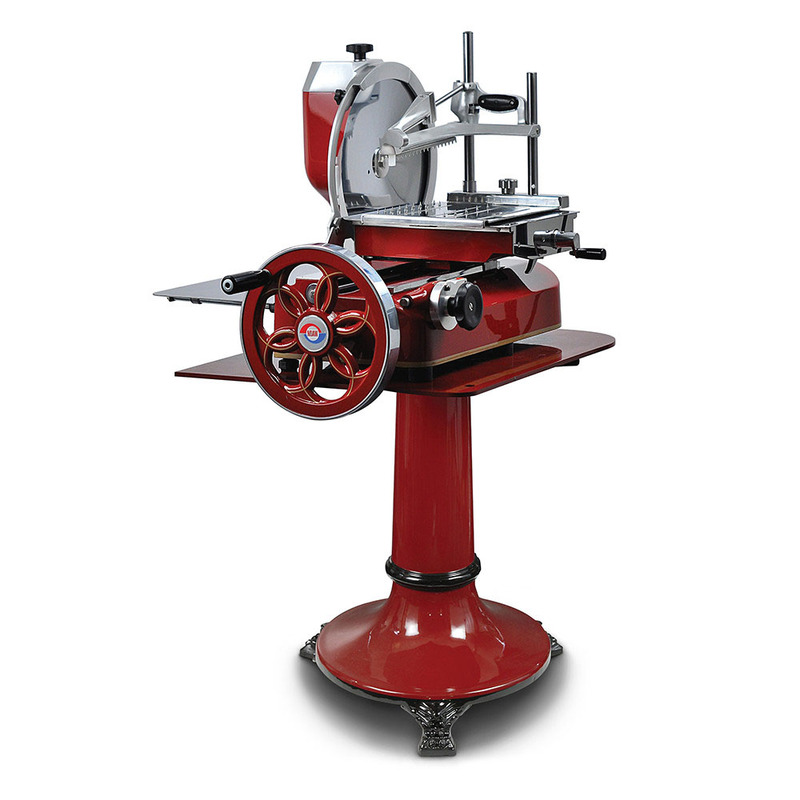 The Heritage Flywheel Slicer is a truly beautiful machine to own and operate.